As the largest emitter of carbon dioxide in the world, how much coal China is burning is of global interest. According to the country’s National Bureau of Statistics, the tonnage of coal has fallen for the second year in the row. Nevertheless, there is one scenario in which coal use could easily go back up again: high oil and natural gas prices. Valeria J. Karplus explains. In a figurative sense it is us burning the coal as we are the ultimate consumer of most chinese pruducts an the cheap and dirty coal enery hidden within. The chinese transform energy into our goods for little compensation and meanwhile are poisoned by the resulting fine dust and production waste. We on the other hand get goods for cheaper money money as ever before and complain about china power consumtion. 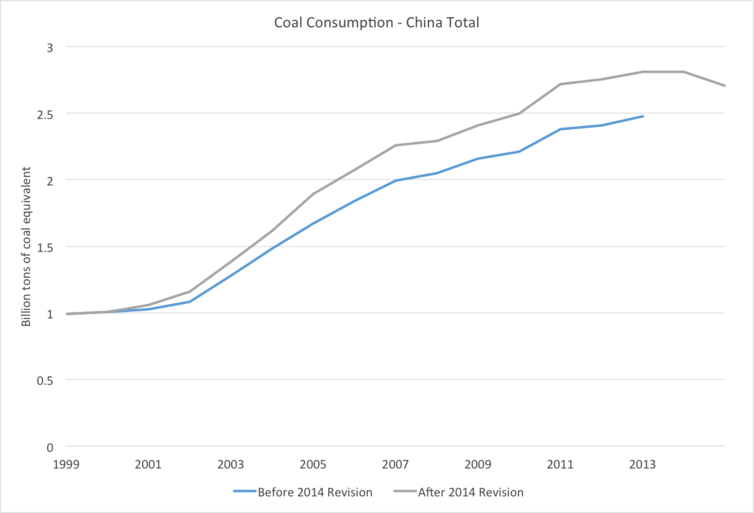 Furthermore I miss some figures that compare Gigawatthours of consumed coal in relation to chinese renewable energy output. Previous PostRegional Cooperation: A Solution to the European Renewables deadlock? Next PostIs Denmark the real energy transition leader globally?